Designed to be the perfect corporate travel companion, Wexas TM Access redefines the concept of a simple, pain-free business travel experience. With all travel documentation stored within the app – from flights and hotel bookings to car hire details – you can rest assured your travellers are perfectly prepared for all steps of their journey. Reminder notifications, an integrated hotel booking system and GPS-based city map guides all help your employees in both day-to-day business travel and when there are sudden changes to plans. 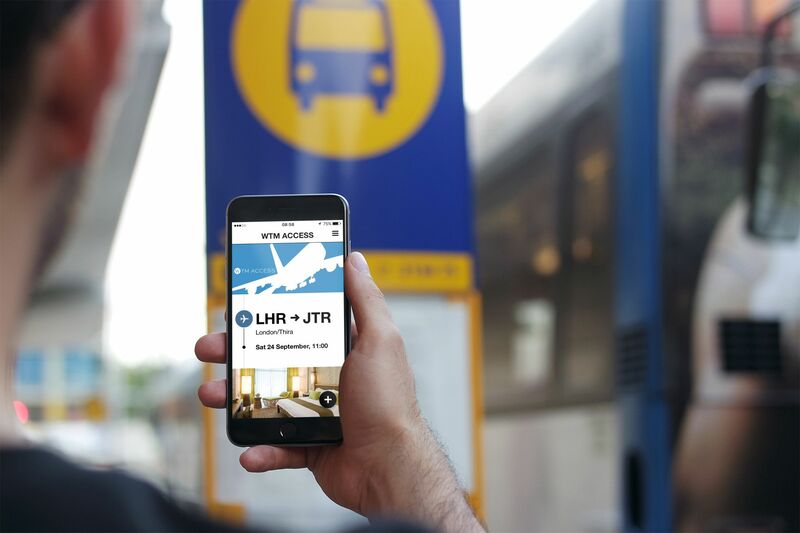 With the ability to check-in for flights straight from the app*, your employees won’t need to waste time downloading multiple airline apps just to check-in. Hotels can be booked should travel plans change at short notice. With Wexas TM Access, your travellers can look up how to get there details, including local transport, taxis and self-drive routes, with time estimates, A-to-B maps and accurate prices all detailed to make on-the-ground travel as straightforward as possible. Not only that, but taxis can be booked from within the app (with pre-agreed fares and meeting points to prevent any hassle on arrival), ensuring a smooth experience for your travellers. What’s more, the app provides local restaurant recommendations with a real-time map to help you get there. Getting there by taxi and struggling to communicate the address in a foreign language? Just press ‘Taxi driver’ and a clear address will show in the native language so the taxi driver can understand precisely where you’d like to go.